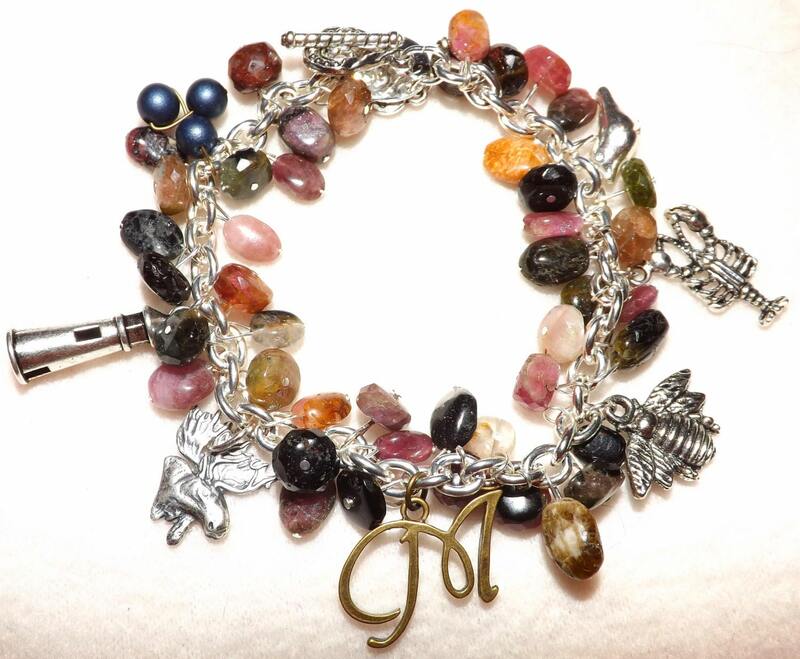 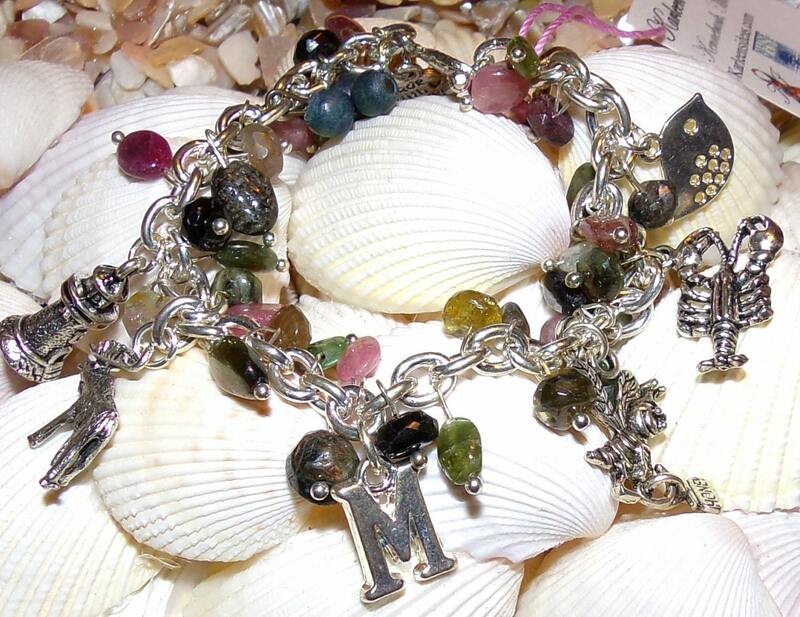 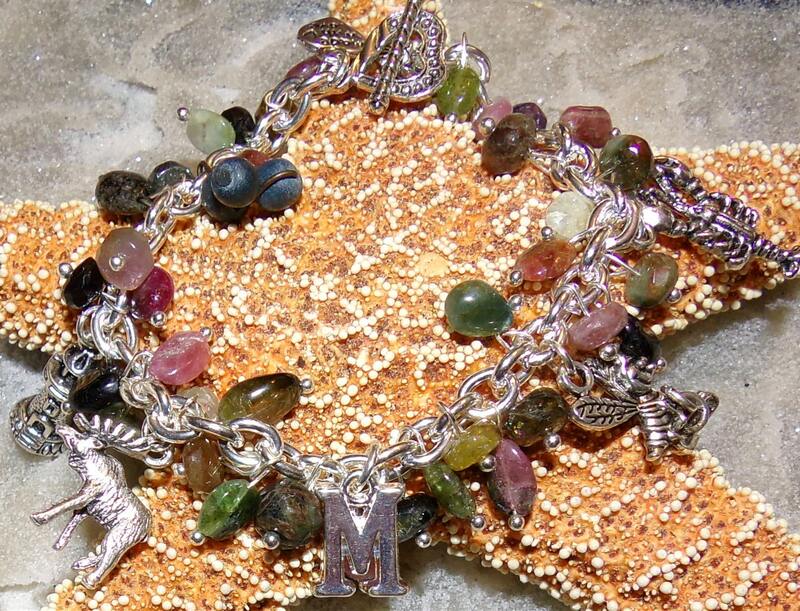 This bracelet is made with Tourmaline (Maine Stone) with Charm that are The State of Maine Icons. 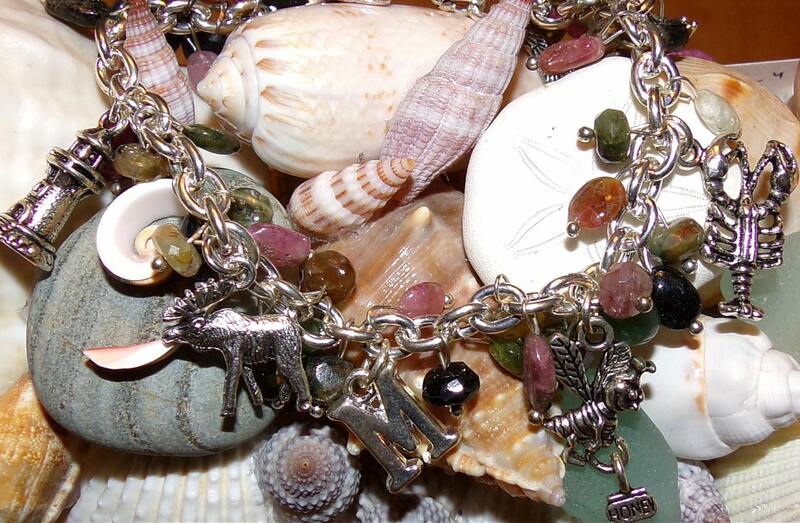 Charms include M* for Maine, lobster, chickadee bird, blueberries, moose, lighthouse, mussel shell and honeybee. 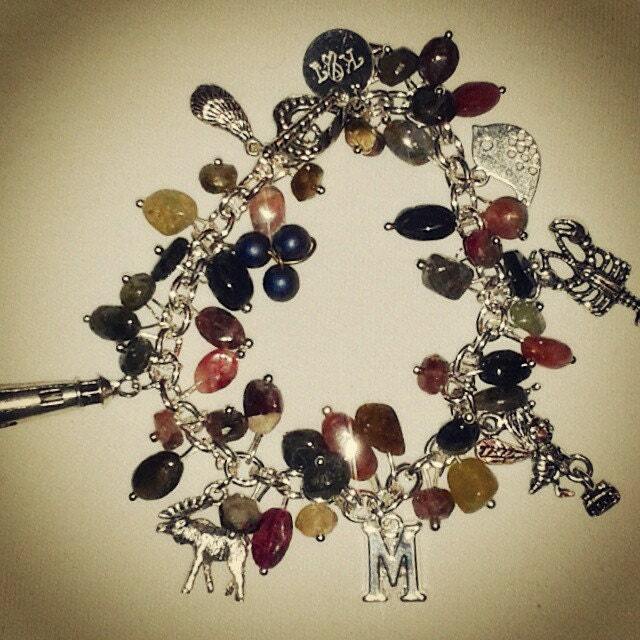 * M charm may vary depending on availability, right now it will be the silver tone M.